At Johnson County Hospital, we are on the leading edge of orthopedic knee replacement technology. After an extensive renovation and expansion project to the Johnson County Hospital Surgery Department, we are proud to offer custom-made knee replacements using the patented Conformis Knee replacement system. Dr. Scott Bigelow of Lincoln Orthopedic Group, who has served Johnson County and the surrounding areas for many years, is excited to bring this service to the community. Dr. Bigelow is one of only a few orthopedic surgeons in the nation performing knee replacements with this groundbreaking technology. The Conformis Knee replacement system uses the patient's own body structure and bone configuration to create a custom replacement that fits better than ordinary knee replacements. A dedicated CT scan is used to create a 3D image of the knee. These images help create a custom-made replacement that is specific to the patient's knee. Imagine going to a tailor and getting a custom-made piece of clothing measured and designed just for you rather than going to the store and buying one off the shelf. The fit and feel of this custom-made knee not only helps improve the recovery time, it also improves the rehabilitation time and overall longevity of the knee replacement. The Conformis Knee replacement system allows you to get back to doing the things you enjoy. Furthermore, having this procedure at Johnson County Hospital, surrounded by the medical providers and staff that you know, helps the healing process even more. The dedicated nursing staff and physical therapy department are trained and ready for the rehabilitation process that starts soon after the knee surgery is completed. 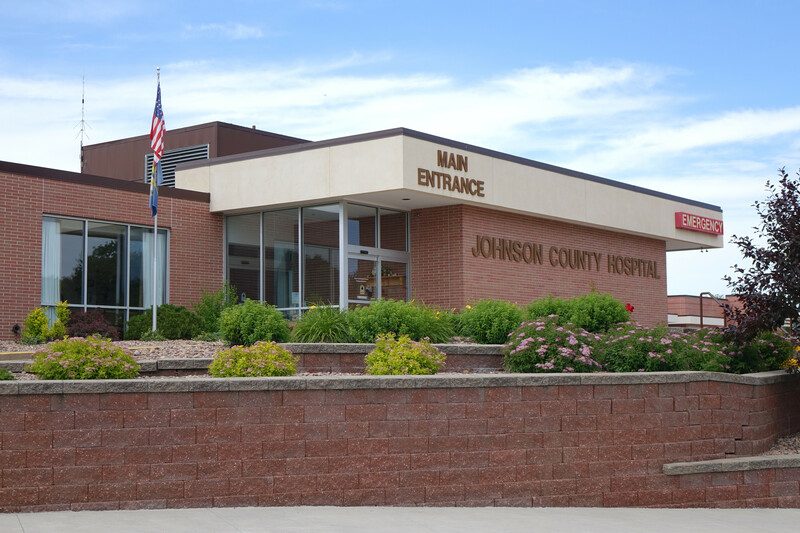 Having you own family provider oversee your post-operative medical care at Johnson County Hospital ensures no drop off in any personalized care that you have come to expect. Visit with your health care provider to determine if the Conformis Knee is the right option for your chronic knee pain. At Johnson County Hospital, you can get your custom-made knee, your medical providers and your specialized care in your community, at your hospital.